"One of the most intuitive user interfaces"
"This is absolutely the powerhouse for Java development"
" A very powerful tool for the lover of java language and development in this language." Beginning to develop in java Intellij Idea helped me with the integration of many tools and keyboard shortcuts that turned out to be a huge help in the development of applications, this included during my university studies as in the day to day of the work activity. In addition to being a very intuitive and configurable tool to the taste or to the preferences of the developer. The most striking or the most debilitating of Intellij Idea is that it uses a lot of memory, so in some computers it is impossible to install it, and in others it consumes so much memory that some applications stop working even the same Intellij Idea. For new users my recommendation is that they take the most out of the benefits to this powerful tool since with it they can learn a lot in the development of applications and in a more intuitive way than with other tools, for the users of Intellj Idea that follow enjoying it and using the latest updates as they are always helping us even more or facilitating the development even more. The generation of codes by templates and high integration with Hibernate. Currently I use Intellij Idea to make web applications through the use of hibernate and it is much easier to see the database in the same intellij, next to the source code. They provide good interface user interface. Easy to use and code,it has a fast compiler. Can be used for Java, Kotlin, Groovy, Scala. Yes I would definitely recommend it to others because it is better than many java IDE's ,it offers a great user interface and makes coding easy and fun.But it won't perform as effectively on lower-spec computer models, a high amount of RAM and CPU processing power is required to perform better.The community edition is pretty decent and provides good accessibility of the product.The ultimate version is paid and provide full access to the product.It provides a good real-time code inspection . Go for it, It is an amazing product and will always help you to code better and provide good interface with less code errors.It's auto code completion type features will save lot's of your time.It helps a lot in organizing and optimizing the code better.Go for it,its the best IDE for java till date. It provides a decent functionality and code reusability ,it makes long projects simple and complex code easy and execute them properly. "IntelliJ IDEA, simple yet robust." This IDEA upon using for over a year from converting from eclipse, is a great IDE to use for very large projects to simple academic or learning products as well. I find this interface to be great as it is also used with PyCharm which is also a product from this same company. All your integrations and plugins and external resources are a breeze to install with this IDE. There are not many dislike features with this IDE. It can be very slow to load upon initial boot up of the software, but overall usage is not usually effected. I run this as well as other software development tools simultaneously and it is pretty decent. This IDE is a great piece of software on any type of computer you have. I found that integrating third party plugins or external API's are a simple task with IntelliJ. If you build very large projects with java you can be more thankful of an IDE that makes this simple. "If you want to create apps for Android, just use IntelliJ IDEA"
I'm a Java and Android developer for years and i've been using about three IDE during this time. None of these IDE are focused on the development of Android applications, you have to install third-party plugins. This does not happen with Intellij IDEA because it is an IDE focused mainly on the development of mobile applications in android. One of the things that I liked most about this IDE is the auto-completion function that is very accurate compared to others that tend to show you wrong suggestions. I also liked its interface and theme by default, simple but nice. - Import projects works like a charm while we had issues with other IDE importing certain projects. The only drawback I have found for saying something is that the installer is a bit heavy. If you are an Android application developer I recommend that you give this IDE a chance, I have tried most of the IDE for Android and it is above all its competitors. With Intellij IDEA we have improved our productivity since working with this IDE is powerful but simple and we save a lot of time. It also allows us to save costs because using Intellij IDEA we do not pay licenses of any kind. A bit heavy and requires payment to possess the best features of the ide. The time of the license lasts very little for what is paid I think they should extend it a little more by version because there are more pleasant versions than others Difficult to say something bad about the product if you could say something bad is the time to start the product from the desktop. "A great IDE for JVM platform applications"
Its compatibility with lots of JVM based languages including Scala and Kotlin. Smart hints for fixing compiling issues. IntelliJ is ubiquitous in the industry as long as they use some software that's Java based. Android Studio is based off IntelliJ. Many of the plugins works out of the box. The community version is open source. Slow performance. It's not snappy at all. It takes much longer delay to respond than a native application because it's running on JVM. I don't think I should ever need a Core i9 to power this thing. Programming should focus on the program itself. Also I dislike the default font/colorscheme. It doesn't look cool. It's a pain to look at. Sometimes when I am working on a Gradle/Maven project, I get lost navigating the directories IntelliJ has created for me. There're not so many choices other than the IDEA. It's the state-of-the-art IDE for Java. It would do much better if it's running natively on dev machines. Also, the direction of Visual Studio of Microsoft is worth taking. Implement scalable internet services with Java and Java EE APIs. Writing programs in Scala. I deal with a lot of complicated Scala code. The integration works very well. Perhaps not as good as Kotlin but I would say the integration is usable. I also realized that its integration of git is very convenient. It reminds me of what is not committed yet. IntelliJ IDEA is one of the best IDE for software development. It senses your needs and automates the tedious and repetitive development tasks, so you can stay focused on the main part of the project. There is nothing to dislike about this IDE. But it takes a lot of space in RAM. Not a problem if you have a more than 8GB RAM. Overall, This is an awesome IDE. I always recommend this software, because its speed, smart code completion and stability, compared with any other tool. It is easy to use, great UI and having a great enviroment for programming. "Excellent IDE for Java Programming"
IntelliJ is a necessary requirement for anyone seriously involved in Software Development. It speeds up the process of our workflow massively and makes coding an extremely quick and enjoyable task. It eliminates the tedious side of coding as it corrects obvious faults with your code and highlights errors. Many elements are colour coded and can be changed based on your preference. The user-interface is extremely well done and there’s a range of different themes, I personally use the Night Owl Theme. This is another great thing about IntelliJ, it allows for external plugins to be installed for further customisability. With Java being the central programming language used at our company, this makes IntelliJ, one of the best IDE's available on the market. Many of the processes on IntelliJ can be quite demanding on a regular computer or laptop. It won't perform as effectively on lower-spec computer models, a high amount of RAM and CPU processing power is required to perform optimally. There is if course a solution to this problem if you do have a low-spec computer, intelliJ allows for you to disable some features which you don't use, which is another advantage! One of the best IDE's available on the market right now, it offers a great experience when programming in Java. It includes a bunch of useful functions and tools to improve workflow. There is a trial available and a discount for students so I would recommend using it for yourself and see if it improves your workflow. We've definitely realised that the warning messages, suggestions and tips that IntelliJ IDEA provides causes less errors in our code. This results to our overall productivity improving vastle and consequently writing more and better code. Our standards of coding have also improved significantly and it allows us to create great Java projects. "An intuitive IDE for your every need"
Where should I begin? If you're a coder, you'll know the struggle of being restless and needing to have coffee and just sitting there mindlessly like a zombie blurting out code. IntelliJ IDEA changes all of that. With it's nice User Interface you won't be blinded by light late at night or early in the morning. It's auto complete feature is a godsend, Now you're errors will be solved before they're even made. Out of all the IDE's I've seen, this one takes the trophy by far. Sometimes it is a bit slow if you're using an old machine but nothing too bad or much of a problem. If the high price doesn't concern you and you're an aspiring coder who is looking to do more and improve your coding skills, go for it. It's a great piece of kit and you'll wonder how you ever lived without it. It makes us get out more code, more efficiently with less errors. "A great IDE for developers"
IntelliJ IDEA is used by all the aspiring developers in our organization to develop code. It reduces time on a large scale. To develop effective code and being an enterprise licensed product , it has unique and useful features in its arsenal which are not present in other IDE'S like Eclipse for example. Although it is great and far ahead for Java development, it is behind for developers who use other coding/programming languages. It isn't that much of a light IDE so on a slow and weak system it can be a real problem and you'll have to disable most of the features. If you are a Java developer, I'd recommend you check out IntelliJ IDEA. If you program in other languages you should still check it out although it may not be for you if you aren't a Java programmer. In IntelliJ IDEA, Code debugging in Java is much easier. The most remarkable feature is by far the code hinting, it is; very smart, saves time, and an amazing feature. I like the design of the IDE, it is very clean and i find that having a clean enviroment for programming is something that you need to not have any major confusion. i also like how it can integrates to almost everything without problems, like, Maven works very well and i'm just amazed, with Eclipse i had major issues with it. The price, even if there is a comunity edition, the premium edition has a good price mark, a bit high but it could be all worth in the end, something you can see after hours of usage is that it eats my RAM, which is okay but sometimes it can be too much and risk to be unstable which is really a problem while programming.. If you consider to buy it, first, test the comunity edition, and if you feel good with it you can consider buying it. If you're a student look on the GitHub Student pack as it offers a license to IDEA. We do not regret any cent spent on this IDE. We are able to program, like, better, it is cleaner, just better, i do not know how to explain but, we feel more comfortable with it and we can do everything better with it.
" Intellij IDEA, One of the best IDE's"
Intellij is one of the Best IDE's available. There is so many great features it'd be a waste of time talking about them all. The most useful for me is code completion. Often when coding, people make small mistakes without realizing. After spending hours upon hours on your code you'll struggle to look and see what is wrong. Here's where Intellij IDEA Code Completion comes into play, I don't even need to type most of the name, simply by typing first few letters i can chose from the list of possible code/words. A great feature I like is real-time code inspection. It helps me correct a large majority of my code without the need of going to execute and find. It saves my valuable time and effort which enables me to code more. There is one problem with this program and its vast amount of features. Sometimes when working on code I encounter very high RAM usage. The integrated console likes to lag and stop working at times. Go for it, It is an amazon product and will not fail to help you code better and save valuable time. It saves time and effort which will enable you to work better and do more. "IntelliJ IDEA, A simple yet productive IDE"
Where to start? IntelliJ IDEA is a feature packed suite with many tools essential for programmers. With a clean and sleek design, it is easy on the eyes for those late nights when you're coding and restless. Paired with its Auto Complete feature, you'll barely make errors again. Before you can make an error it'll show you suggestions to choose from so you need not restlessly type with lots of errors. This program is rather resource intensive, I've found. Although this can be easily solved with disabling some features; Some people would rather not go through the hassle. If you are an aspiring coder but can't find software to meet your needs, take my word for it and try IntelliJ IDEA. I've realized that now that we aren't making errors and aren't blinded by the UI; Our productivity is much better and we are pushing out much more code. "Best warnings and suggestions ever." What I love about IntelliJ is the warnings. IntelliJ warns about so many errors, and is able suggest many ways to simplify and speed up your code. Several times now, IntelliJ immediately caught bugs that my colleagues had tried to debug unsuccessfully for days. I also love the debugger. The software we develop is very resource intensive, and we have to run tests on remote servers. IntelliJ makes it easy to run the tests remotely. I also love the "evaluate" functionality of the debugger: at any breakpoint, you can evaluate a piece of code to see what the result is. It makes debugging an ease. The breakpoints themselves are also wonderful, with complex filtering rules that allow you to say "stop at this breakpoint, but only if this other breakpoint was activated and this variable was set to true". Very resource heavy. As soon as I start to type, my laptop's fans spin up. The startup time is also somewhat annoying. If you develop on an old machine with less than 8GB memory, forget about using IntelliJ. Try the trial period, and see how many issues it points out to you about your codebase. Also, try out the automatic fixes to see how easy it is to make IntelliJ automatically patch those issues. The warnings and suggestions improve the code's maintainability, and speed up bug fixes. The automatic refactoring is a breeze to use, and speeds up development significantly. Its heavy and uses a lot of resources. Not a problem if you have a decent workstation. Amazing ide if you're looking for a great experience while coding in java, scala or even any other JVM based languages. It features a ton of tools and support for frameworks used in the java world. It's also cross platform, so someone on linux among your team can run the same IDE as you are on windows or mac!. Their pricing is great too, it's a bit on the expensive side, but you it's absolutely worth it. "The best way to implemtens java proyects"
"Its is user friendly and good for quick coding." The IDE user interface is user friendly. It's auto code completion type features save lot of time. Debugging mechanism is basic but good enough to find quick errors. The suggestions to optimize code are really helpful. The shortcuts help navigate through functionalities better. While I code java, inheritance mechanisms are a great hassle, but with IntelliJ, tracking inheritance is easy. Also, it helps a lot identifying casting errors. I tend to use all possible panes and it comes really handy to have important functionalities on left and right navigation panes easily accessible and easy to use. The documentation is effective and adding additional plugins is not that of a hassle. JDBC and Sql interfacing is not user friendly. Its little tedious to remember all the shortcuts.So, a small panel with all functionalities of shortcuts would be better. UI designing by using libraries like Swing is not that easy to use. Drag and drop can be inculcated and improved. Designing GUI is probably hectic becasue of the large amount of trivial coding. On improving the drag and drop feature, It will cater to main focus of design saving time on writing code. It is good for hassle free Java coding with good enough debugging and ample support for shortcuts and portability with kotlin too. I use IntelliJ IDEA for Java coding of backend applications that deal wih Sql and running inputs for 1-8 million in number. It helps a lot organizing and optimizing the code better. "A sleek IDE with all the necessities for coders"
As we all know, there is nothing more infuriating then when you've just coded something and then it wont run the test build because of an error in the code (Normally a spelling error). IntelliJ IDEA has an amazing autocomplete feature and because of this, there isn't a problem and I don't need to waste precious time searching through my code for the error. This is a great program, I've used it for years and I can't code without it. It's just so much better then every other program. It is mainly aimed at Java coders and is lacking in its features, etc for other programming languages. The startup time is horrendous and it is resource intensive. If you're thinking about coding in java, don't do it without IntelliJ IDEA! The program speeds up bug fixing and helps prevent most errors before they're even made! "The finest IDE out there for Java projects"
Building ventures in Java and in other JVM-related dialects. "An IDE that does it all"
Most Importantly, this IDE is Lightning Quick; no other IDE is even close in speed and performance. Very feature rich; definitely a match for Eclipse, at least when developing in Java. Built in keyboard shortcuts for virtually everything; you can also create your own. Smart code completion is second to none. File navigation is a breeze - put in any part of the name, and you get a list of possible matches. No need ever to search through folders manually. Has a built-in command prompt terminal. Has a built in RDBMS management tool. Has built in Maven command prompt + options. Configuration possibilities are virtually endless; artifact options, compile options, run configurations, servers etc. Because it is a commercial product, the community is much smaller, making it a little harder to find help, although the support service is quite good. The learning curve is a little steep, especially coming from Netbeans. The UI is not as simple and straightforward as Netbeans’, although it is definitely way better than Eclipse’s. I miss Eclipse’s ability to link to external files; with IDEA, I have to relink every time I redeploy my JSP ‘s. Extremely annoying. The SVN control is not quite as nice as Eclipse’s SVN plugins, pity. It is very costly, although definitely worth it. My entire team used it for developing software solutions. 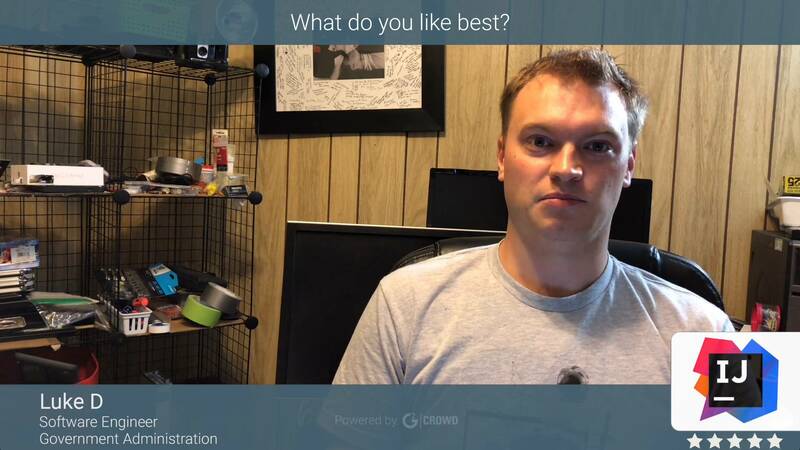 "Yes, Intellij is "The drive to develop" "
Intellij IDEA, is the best IDE currently on the market and with a lot of difference with its competitors, it really offers an excellent experience when developing from scratch any type of project, especially if it is worked using JAVA. It offers a multitude of options that allow you to modify almost any configuration of the tool, also providing the option to save all these settings your account in Jetbrains. We also appreciate the full support in the main operating systems of the market today. Having so many benefits in a single tool makes this program unsuitable for low specification computers, really Intellij IDEA is a demanding IDE for computers and this is noticeable even in computers with moderate specifications. It is important to keep in mind that Intellij is not designed to edit small files or simple projects and also in some situations an extra time will be required to have everything configured to start the work. Explore alternatives in the market before making your purchase, look for specific IDEs for the programming language you will use. Ask everything that is necessary in the Jetbrains forums. If you only need to work with a single programming language, choose the specific IDE offered by Jetbrains. Use simple text editors for small files, use light IDEs for small projects, take advantage of the testing period to determine if you really need this tool or use the open source version of it, explore the plugin market to see Complement can improve or facilitate your work.
" An IDE so dynamic and extensive that you can customize it." We speak of one of the favorite IDE of the current community, its support is so broad that it can be used practically for any project at the web or native level, with the quality of personalizing not only its graphic environment but the options or commands to the developer's taste , in addition to being able to download the necessary extensions, plug-ins or compilers from its platform. However, being so large lacks minimalism and simplification, so ordinary or novice users can fall into tedious use of it, as well as a constant wave of daily updates, which can be a lot of inconvenience and sometimes too technical or complex to use in advanced options. If you need a platform in which to develop a project of small or large characteristics, it is a phenomenal option since it adapts to the complexity of it, facilitating its use in the auto-complete or the resources to be used. An IDE that allows users to easily use anywhere and anytime with great ease, as well as adapt to the tastes of the developer so it is more familiar to have a personal configuration, which generates a lot of compliance. IntelliJ makes Java an easy to use language. It can save you hours of time in debugging, especially on syntactical errors. I also prefer IntelliJ to other IDEs like xcode because of the beauty of the user interface. I also like to use PyCharm, so it is nice to have a common IDE interface synced across programming languages. My major concern with IntelliJ is that it takes up a significant amount of my computer's available memory when using it. The startup time for the application is very slow as well. It's frustrating to have such a good program impact how productive I can be on other applications on my computer. The main benefits to using IntelliJ is the time saved by having the ability to compile in the IDE and catch any bugs before having to compile. I personally do not always remember the syntax for certain methods, so it helps me be able to write clean code, quickly. This saves countless hours of development time. The pricing is a bit on the upside when compared to ither IDEs on the market, There is a bit of time required for one to adjust to using it when moving from other IDEs, though it is really not that significant. We use this as a tool for developing software solutions and it helps developers work faster with a tool they enjoy to use. Lo que más me gusta es su integración con Java, lo hace perfecto para programar en este lenguaje. También se pueden usar otros lenguajes de programación pero yo lo uso en exclusiva para Java. Tiene una interfaz de usuario sencilla, es multi-plataforma, tiene un gran número de plugins que le puedes aplicar, tiene una versión comunitaria gratis, tiene auto-código que te completa las líneas de código automáticamente, tiene muchos atajos de teclado útiles y también trae la función de refactorización que está muy bien integrada. Jetbrains hace también un buen trabajo actualizando su producto cada pocos meses agregando nuevas funciones y solucionando herrores. El precio es alto, tienes que estar seguro de necesitarlo si vas a comprarlo. El proceso de compilación se ralentiza mucho en algunas ocasiones y no he visto mucho soporte para otros lenguajes de programación que no sea Java, deberían haber más lenguajes soportados, aunque como ya dije anteriormente yo sólo uso Java y tiene la mejor integración que he visto. IntelliJ IDEA es un producto de Jetbrains, y como todos sus productos tiene un excelente equipo detrás y una comunidad muy activa. Su versión comunitaria gratuita viene con todo lo que necesitas para aprender a usar este IDE, después puedes comprarlo para proyectos mucho más grandes. Es un gran IDE y lo recomiendo totalmente. Realizar proyectos grandes de Java, depurar, compilar y auto-completar código en mis proyectos. Me he ahorrado mucho tiempo gracias a los atajos del teclado a la hora de trabajar con IntelliJ IDEA. the best IDE of all that I have used so far! great build and great plugins. There is a plugin for docker, csv, python and sql. Plus it has support for maven, gradle. Also, enables Scala development. Also, the auto import for maven projects is really good compared to something like Eclipse. I feel that the licensing price is very high. I don't like that aspect. Also, I would expect better online support for some of the features. But I think I should also not say anything given that I am using the freeware. I would ask them to check the plugins. And also for Java user, it becomes easier to switch to Scala. So a great place to learn a new language. This is my core coding IDE. I use it for Java and PyCharm for python. "The best IDE out there for Java projects"
"El IDE más eficiente para java"
Lo que mas me gusta de este programa es su interface, es muy elegante y similar a la de programas de pago. Posee todas las características necesarias para programar en java, pero lo más destacable es su Intellisense, que funciona a la perfección y hace que la escritura de código sea mucho mas sencilla y rápida. Lo que menos me gusta es que es un IDE un poco pesado y en ordenadores poco actualizados puede resultar en una ejecución un poco más lenta que otros entornos de desarrollo como Eclipse. Si logran hacer una plataforma menos pesada y más ligera se convertirá en el IDE de programación en java de referencia sin ningún género de duda. Con este entorno de desarrollo creamos aplicaciones para Windows en mi empresa y facilita muchísimo la mejora en tiempo de entrega de proyectos la velocidad con la que podemos escribir código con esta aplicación debido a su eficiente autocompletado de código. What I like most is the speed of the software and the integration with a high number of different technologies, wich makes the process of starting up a new project much more faster. Other interesting chacacteristics that make this software be more powerful than others is the high amount of available keyboard shortcuts and quick actions, that make the coding proccess much more pleasant and fast. What I dislike more is maybe the price and some bugs that can appear, like when it freezes from time to time while finding files. The hardware required to run it must be powerful too. I always recommend this software, because its speed and stability, compared with any other tool I've used. With IntelliJ Idea the start up of new projects is faster, installing all the required elements directly from the interface and from the quick actions. This makes for us easier to integrate and to build our projects with Maven, the technologie that we use the most. "IntelliJ IDEA: Enjoy Productive Java"
IntelliJ is one of the Best open-source IDE. There is a long list of feature that makes it a great tool for application development. Its Editor is user-friendly with a list of shortcuts to help developer move quickly between files and perform the task without taking a hand off the keyboard. It supports Code Colouring that visually help a lot in writing efficient and effective code. While working on huge project mistakes are tend to happen, like misspelled variable or function name etc. But with IDE that`s not the case. Another Heavily used feature is real-time code inspection. Built in VCS is one of the easiest I have ever used. For freelancers, it is very costly to purchase the license and in the end the left looking for the alternatives. IntelliJ IDEA requires a RAM with a great capacity for its optimal operation. A 16GB RAM is recommended. it is perfect for the development of JAVA EE, I recommend it widely if you are willing to pay the expensive license. This IDE saves a considerable amount of time in software development and improves developer's productivity. This tool at the business level could implement various internal projects for the organization. It is the time best IDE in my opinion to develop Java, Python, Scala, and Android applications. Support for dependencies resolving for a library and Different File format come handy. "The IDE that really knows your code." There is a long list of feature that makes it a great tool for application development. It`s Editor user-friendly with a list of shortcuts to help developer move quickly between files and perform the task without taking a hand off the keyboard. It supports Code Coloring that visually help a lot in writing efficient and effective code. But the most useful of all is the code completion. Built-in VCS(git) is one of the easiest I have ever used. It has a vast library of plugins one can customize the IDE to specific needs. There is nothing to dislike about this IDE except few things. It's the bit heavyweight to run and takes time to load. Also, since it is system heavy IDE it uses a big amount of ram and in such cases, some of its functionality needs to be switched off. In certain cases like working on a large file features like code coloring, code completion, code inspection slow down the editor's functionality. And finally, for freelancers out there, it is expensive to purchase the license but it's worth every penny. I would recommend this IDE to those who are developing in Java language. It provides the necessary integration of frameworks and plug-ins for Java Development. Being a Java Developer I use IntelliJ IDEA for J2EE applications using Spring with Maven integration, Spring ORM, Spring MVC and Spring Boot framework. It's easy to use and fast to develop complex applications using Java with ease. The product interface is very nice, easy to use and can support several frames, it has a help tool for most beginners, it can add many useful complements for project development, it has a self-fix of errors and indicates where it is find, you can use maven, Js, spring, etc. "IntelliJ IDEA, one of the best IDE"
What I like the most is that it adapts to practically any programming language, either natively or by installing the necessary plugin for each language. Supports 22 programming languages, giving you the possibility of having the same software for the different applications that are being developed simultaneously at any time. The only thing that would put some snag, could be that it is somewhat complex to configure in some aspects, but nothing exorbitant either. And also comment that there are certain languages ​​that are only supported in the "Ultimate" version of the product, therefore limits in part to the developers, but they are only 8 languages ​​of the 22 available in their repertoire. And its price is somewhat high, but for the quality they offer, it is a deserved price. With this software the employees of any company will be covered to be able to lock practically under any programming language. Apart from this, it has an impressive GIT implementation, the way it represents version control is amazing, when you are comparing files and deciding which versions should prevail over the others, you simplify the task in an abysmal way, you see everything much more clear and this allows you, in the first place to commit fewer errors and secondly to speed up those tedious tasks in large projects. "El mejor IDE para Java"
Hay tantas funciones geniales en IntelliJ que es difícil elegir alguna como la mejor. Desde el pulido del código y el acceso directo a casi todos los lenguajes imaginables, a una comunidad fuerte y soporte de plugins, a su depurador, a su velocidad extremadamente rápida en general, IntelliJ es el entorno de desarrollo más sencillo y útil con el que he trabajado. No podría imaginarme haciendo lo que hago a diario con cualquier otra herramienta. Pregunta difícil. He estado usando Ultimate Edition por un tiempo y ahora estoy usando Community Edition porque ya no necesito hacer desarrollo web. Al principio, pensé que echaría de menos algunas características, pero no encontré el caso de "Maldición, podría hacerlo en Ultimate" todavía. Estoy bastante seguro de que algunas características avanzadas del depurador de Java serían mejores si estuvieran disponibles en el CE, pero en realidad nunca las utilicé. IntelliJ IDEA es el mejor IDE si el usuario está dispuesto a avanzar en la curva de aprendizaje. Su conjunto de características deja algo que desear, pero está completamente presentado para cualquier persona que esté haciendo un desarrollo comercial de back-end. "An amazing IDE for programmers using any programming language"
It has all features you might want. It has plugins for any programming language. Has both a community (free) version and a professional version. The professional versions are free for students and teachers. Intuituve UI and good layout. Awesome support for Git and other VCS platforms. It is a bit heavyweight to run. Unlike the dedicated alternatives (PyCharm, WebStorm, etc) it doesn't always have the latest version of the components that support programming languages, that means that sometimes you will want to use one of the other IDEs if there is something that doesn't work as expected. Everyone is using it, just try it and you will love it. Make sure to check the help whenever you don't find something. If you come from a Java background, don't even bother with Eclipse or Netbeans, they are good to get started with but this is really what you should be using for creating software. If you don't come from a Java background, use it too, you might find it doesn't has support for the language you are using but most likely you will get an alert telling you to install an official plugin to support it. "Great IDE but it is a bit expensive"
The program includes debugging features that are compatible with applications that support features like manipulating objects while the code is running. It is available in many platforms. I can start a project on my Windows computer at work and then continuing it at my Mac laptop. It has a very modern user interface. I really love working on it. It supports many plugins. Additionally there are lots of useful plugings available from the comunity. The program its a bit difficoult to use due to the amount of tools it includes. I find it a bit expensive although theere's a free version. It uses many resources from your devices. Sometimes it get a bit laggy on my Mac laptop. Before using it you should know that it is difficoult to use. I use it to carry out the orders of our clients, mainly web applications. I have been using IntelliJ IDEA to develop all of the projects related to my academics. It supports multiple programming languages. I've used it initially for Java programming and later on switched to python programming without any great deal of effort as it provides simple plugins to do so. Also, I have been a great admirer of its user interface. There are numerous shortcut commands which do come in handy especially when you are working on something for longer duration of time. I haven't used IntelliJ IDEA as such to solve any complex real-world problems or in a business environment. I've been using it for all of my academic programming assignments in Java and Python. As I mentioned before, it has several benefits when it comes to preferring it to a conventional notepad and command prompt as it provides a UI for execution and line-to-line debugging. "My IDE. Everyone uses it. Know why here!" Duplicate detection. Refactoring concept which is designed to be applied everywhere, e.g. in Java classes, in maven's pom.xml files, in Spring's bean definition files, in properties files, etc. Powerful integration with Version Control Systems, including UI design. Even if you use its Maven Integration to build the project, it still needs to compile the whole project to run an executable. Weak support for German keyboard. Weak support for GNOME. Some shortcuts does not work as expected under GNOME. You need first to disable many GNOME keyboard shortcuts to take advantage of IDEA's shortcuts. Under Ubuntu's Unity desktop environment, I can not use ALT-F1 shortcut. UI Designer produces java code which is dependent to Intellij's libraries. The UI design for Git integration is a little disappointing, comparing to integration with other VCSs. Guys, get on the train. This is what the pros use. Plus its good to make everyone use the same. I use it at work for my software development and maintenance which is my daily routine at work. - Good integration with some frameworks like Spring, Lombok, etc. Sometimes is too generic tool. It is a little expensive if you pay by yourself, but not for companies, but you can start using the Community edition before start the paying a license. We use for normal development in Java. - Create new Java projects. - Maintain and refactor legacy code using the amazing refactor actions. "Powerful efficient and easy to use"
it is well designed, it is very complete and it has been on the market for several years, this is a great and useful IDE because it helps to code with suggestions of basic code, name of classes, methods and libraries as well as having a simple and easy to use interface in most of its versions. I like it a lot because it has an editor where you can use almost all functions of the program. Using this program you get a good user experience because it is focused on improving the productivity of development that sometimes can not be achieved with other IDE, and its refactoring tool is very smart. In it you can clone repositories using tools such as Git and Mercurial, configure the Tomcat and have an update button that reflects the changes without having to stop and start the Tomcat. It would be great to add more color palettes apart from the existing ones and that you can define all colors by choice. This IDE is not exclusive to JAVA, you can also use it effectively with Groovy and Scala. It allows me to redesign the code in a simple way using the code suggestion, also save time with your wizard. The debugging system is very easy to use and allows to have a first level contact with the code that can be developed, the shortcuts in creation of variables and implementation of syntax are very good and easy to use, like the recognition system of errors when implementing. I also like to be able to divide the work screen to see 2 classes at the same time, so I do not have to be moving and I can validate what I am doing. the amount of resources of the pc that consumes especially the ram, if you leave the program open and you do not turn off the pc in days this saturates and eats all the memory causing your pc to get very slow. "I cannot code without it anymore." I love the very fast and accurate method inference. It's continuous indexing makes any function I need easy and quick to find, allowing me to never get stuck anywhere because I don't remember the function's name and/or parameters. One of the most useful feature is being able to refactor names, types any many other things across your whole codebase with a simple click. The code auto formatting tool is a great wonder of modern IDEs, but I would like a better way to specify the way I want my code to look. Currently I have to change my code very often after auto formatting because it doesn't allow me enough freedom when specifying the desired code look. Whether you are coding in Java or any other language, IDEA has great plugins for almost everything. Check out other IDEs from Jetbrains before getting IDEA to see if there's any dedicated IDEs for your language. Be prepared to meddle a lot with your settings to have Intellij match to your style. If you're a student, you get the professional edition for free, so you should definitely go for it! I am developing a web applications that wants to automate the process of planning project roadmaps. Since it's a web application, it requires quite a big range of different file types and programming languages and with the help of Intellij's advanced plugins, I could work each different language in a professional manner. "The best and powerful IDE to develop in Java"
IntelliJ is a very powerful IDE, very well developed, it is an ideal IDE to develop in Java language and above all to develop Android applications since it is the same Android Studio platform. 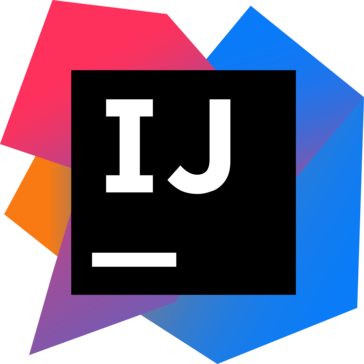 What I like about IntelliJ is that it already integrates a large amount of tools necessary to develop an application, it seems to me an innovative IDE and automatically downloads the repositories according to what is going to be developed. For example, if you want to develop an Android application, this IDE is responsible for downloading the SDK, the gradle and everything necessary for it, such as Maven to develop Java. I find it an innovative IDE because it includes built-in tools such as Git, SVN, database tools and more. This ID is really good but the only negative thing that I see is that it consumes a lot of resources on my computer like RAM and makes my PC slow. i'm using IntelliJ when developing an Android application, I think it's really good for that. IntelliJ integrates everything necessary and really simplifies when programming in Java para aplicaciones en android. I like that this IDE is completely customizable and that integrates Git at once. When developing code is really good because it includes emmet and warns when there is a bug in a line of code. "Complex IDE for a Java Developer"
Complicated setup can take a LONG time to do and some settings/preferences aren't quite clear as to what they do. Finding the cause of something happening in your IDE to change it can can hours. Take the time in the beginning of installation to setup IntelliJ. Use third party plugins to help with the setup process. I recommend disabling all pre-installed plugins and manually going through the plugins and enabling what you know is doing what. This will help ease the transition to the complex IDE and its features by slowly introducing new functionality. General development in Java. The benefits of IntelliJ IDEA is that the IDE promotes fast-paced customizable code writing in your own personal way Snippets, templates, completions, etc, allow for you to build your workflow within IntelliJ to write your code. "The best IDE, for all versiones"
For me is the best IDE because it is based on android studio, plus there are plugins and versions for almost any programming language. I also use it to replace xcode with appcode, since the keyboard shortcuts are the same, so I don't make mistakes or forget about these shortcuts. The structure and architecture of how the IDE is organized is the best, everything is easily found, the different search engines (by file and project) are quite powerful. There is even a search engine for the settings menu. Another thing I like is that you can customize the look as you like, with as many themes and colors as the developer is comfortable with. It seems silly, but that you can have the IDE in the most comfortable way and the more productive it makes you is the best thing to do. I'm not a very advanced IDEs user, I haven't found anything I don't like. Perhaps the only thing I don't like is that you need a license, although I don't mind paying for the quality of the IDE, although I understand that not all developers are willing to pay for a development environment. It consumes too much RAM, and resources in general, so if you have a pc or mac with little capacity, this IDE may be a bit heavy and make your computer slow. Once you use it, and use all its plugins and versions for different languages and projects, you don't want to use another software development product. Using the Android Studio version I have built several Android applications, using functions provided by Intellij, such as debugger or integration with controls version. "Best IDE for Java and Scala development"
It is fast, it can handle loading multiple projects with no issues. Since the tool has been around a while, it is not very hard to find fix for an issue with the tool. It has strong developer support. It has great number of shortcuts that helps easily navigate the code. Being able to open a terminal right inside intellij is one of the best feature in my opinion. Plugins are very handy. Being able to run any kind of test cases and get code coverage is something we we use frequently. I updated to most recent version of Intellij and I had to face some bugs - Lesson learnt that, I should not upgrade to a newer version of Intellij immediately after it is released. We use Intellij for our primary development purposes through out the company. With help of various plugins, we can work on multiple technologies. We also use plugins for static code analysis. QA team uses Intellij for automation purposes as well. * We monitor all IntelliJ IDEA reviews to prevent fraudulent reviews and keep review quality high. We do not post reviews by company employees or direct competitors. Validated reviews require the user to submit a screenshot of the product containing their user ID, in order to verify a user is an actual user of the product. Hi there! Are you looking to implement a solution like IntelliJ IDEA?